The only character I liked was Shafeen and I did not get enough of him at all. Don’t get me wrong, I got why he wasn’t the main protagonist and it worked well with Greer (also, what kind of a name is that?) and I found she had the right amount of courage to get through the weekend. Getting onto the plot, I liked the general idea of a cult in a boarding school and there is a certain level of appeal. 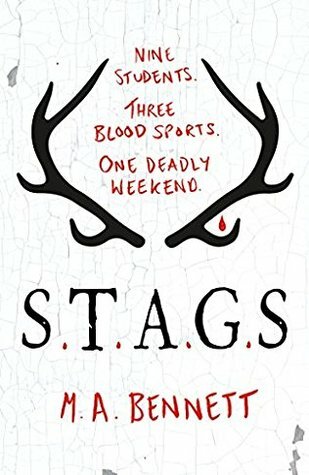 I can see what Bennett tried to do with this book; it was meant to be an almost thriller, a mystery that kept you on your toes until a big reveal at the end. However, it fell a little short for me and felt quite flat. Perhaps because we see so many films that have a similar essence to them but it was just too much ‘been there, done that’ for me. I think, if an author is going to try their hand at this sort of genre, they need to have a concrete plot and it needs to be written in a way that invokes fear. I also found that there was a fair amount of ‘filler’ in this book. Things were mentioned to know doubt give you a sense of the character but it literally did nothing for me. Another thing that really irritated me was how the paragraphs were so loooooong. I didn’t realise I was reading a bloody essay (no pun intended). Honest to god, there was a page in the book that had NO BREAK. I pride myself on my reading and I’m pretty good at keeping momentum in a story but it was such a mission with this book. Ultimately it could have been a really good book but it just fell short on the execution.